Ocala, Florida — Someone, who wishes to remain unnamed out of fear of retaliation from the Marion County Sheriff’s Office, reached out to Ocala Post and expressed concerns he has about the administration within MCSO. This person would only agree to speak with Ocala Post if he could remain a confidential source, therefore Ocala Post, at the request of the source, will not reveal his identity. The unnamed source claims MCSO and its leadership under Sheriff Blair are under the microscope after the discovery that MCSO attempted to cover up when SWAT team members beat compliant suspect Dustin Heathman on June 1, 2014 (http://bit.ly/1Rfg5em). This is just one of several incidents currently under investigation by the Federal Bureau of Investigation and the Florida Department of Law Enforcement. In another case, four of five deputies involved in the August 2014 beating of Derrick Price, also compliant during the beating, pleaded guilty. The fifth deputy has refused to plead guilty and has opted to go to trial (http://bit.ly/1Rfg5em). In May 2015, charges were dropped against Christopher M. Conger, 32, and Jeremy Robertson, 29, who were accused by MCSO of planning an attack on the Eustis Police Department (http://bit.ly/1MVKVI3), after the State Attorney’s Office determined the search warrants were not legally executed. The tip which resulted in their arrests came from Brandon Stevens, an inmate who was arrested by MCSO on an outstanding Lake County warrant. Ocala Post’s unnamed source expressed concern about inaccurate and untruthful reports in this case. During the investigation, Sheriff Blair also told the media that he had contacted the Eustis police chief prior to executing the warrants; however, the chief disagreed. In a memo, Eustis Police Chief Gary Calhoun said he was familiar with Stevens and his family. The chief was also aware that Stevens had a long history of mental health issues that would cast doubt on any statement he made to authorities. He also said he was not contacted about the matter by MCSO. The unnamed source said he is grateful there has not been national attention, which could lead to dangerous protests and rioting, because of these cases. However, he feels that MCSO is preparing for just that, or perhaps trying to instill fear into Marion County citizens. 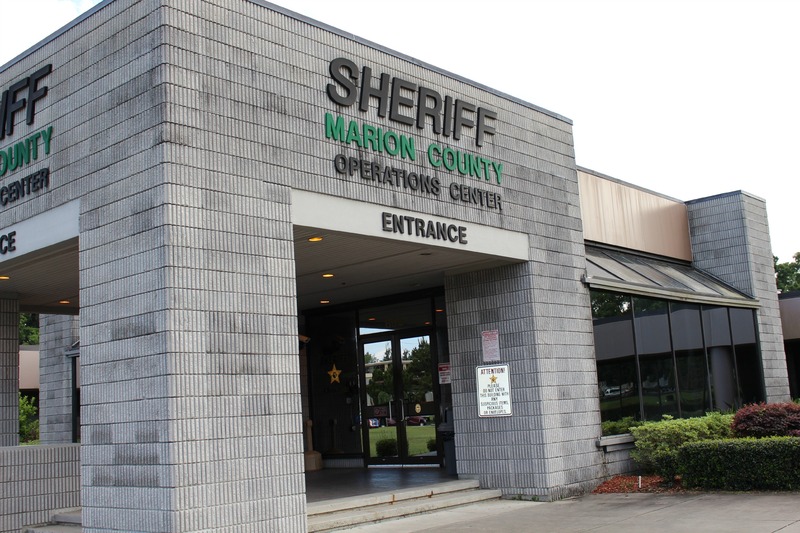 He said the November 17 Marion County Board of County Commissioners Agenda had several concerning propositions for allocated funding in regards to MCSO. Sheriff Blair is requesting $341,819 from the MSTU and $507,879 from the countywide budgets to be returned to the MCSO budget via an amendment. Of those monies, $520,000 would be used to purchase riot gear for every deputy. This purchase would be for the safety of deputies utilizing the equipment and will be used to deter riots if they were ever to arise, as they have in Ferguson, New York, etc. The unnamed source said he is a firm believer that the vast majority of law enforcement are outstanding individuals, but fears a few bad apples have tarnished [that] image for everyone and has created a lack of trust in the justice system. “There are several key points that I believe the local media has missed in reference to the Heathman case and the involvement of the MCSO administration,” the source said. “The issue is that no one involved in the beating made any inclination of any wrongdoing while giving ‘sworn testimony’ to a MCSO detective. Also, Sheriff Blair was present and made a recorded video statement from the scene,” the source said. The source said citizens should be asking if Sheriff Blair was present when Heathman surrendered and during the time he was being beaten. During the Price case, Deputy James Amidei pleaded guilty to Deprivation of the Rights Under the Color of the Law because he failed to intervene to protect Price. “How many had this opportunity to intervene during the Heathman case?” the source asked. He said that morale is extremely low at MCSO, and that the First Amendment does not apply within the workforce.